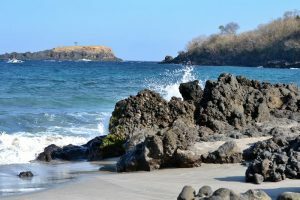 White Sand Beach Bali Hidden Paradise also well-known as Bali Virgin beach is located in the eastern coast of Bali Island . A beautiful hidden white sand beach with lush and green environment around the area . White Sand Beach Bali Hidden paradise is a hidden paradise in the paradise island . Bali Island will known as a world famous tourist destination . Beside culture and art , Bali island also famous with its beautiful beach . Every Bali visitors must be familiar with Kuta beach , Jimbaran bay as well as Echo beach . But actually there are few more nice and beautiful beach around Bali . Some of them are black sand beach , brown and white sand beach . They all located in a different part of Bali and still away from tourism crowd . 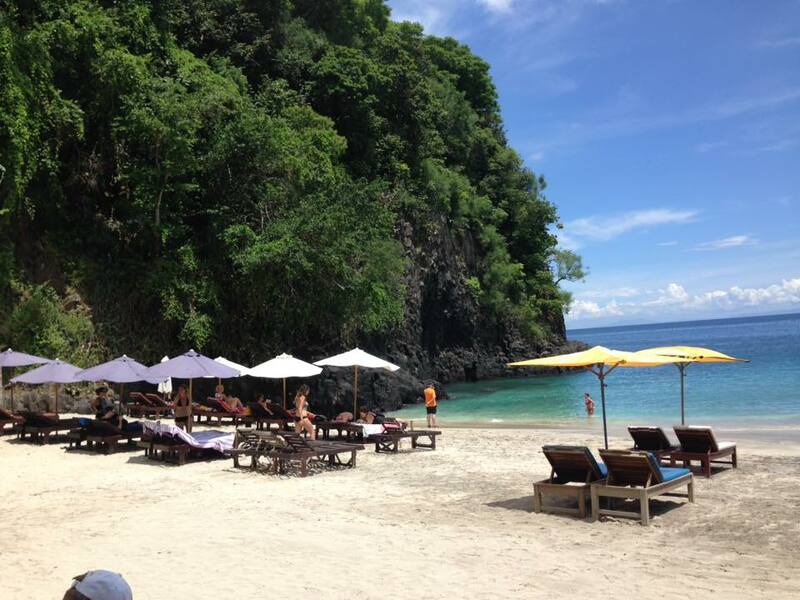 During our east Bali Tour , our clients asking to stop at one of the nice beach . That was an additional place according our plan . It’s fine because our tour concept is open schedule plan . Our client can modify the plan as they like . We drive around 30 minutes to the beach from our last stop in Candidasa . 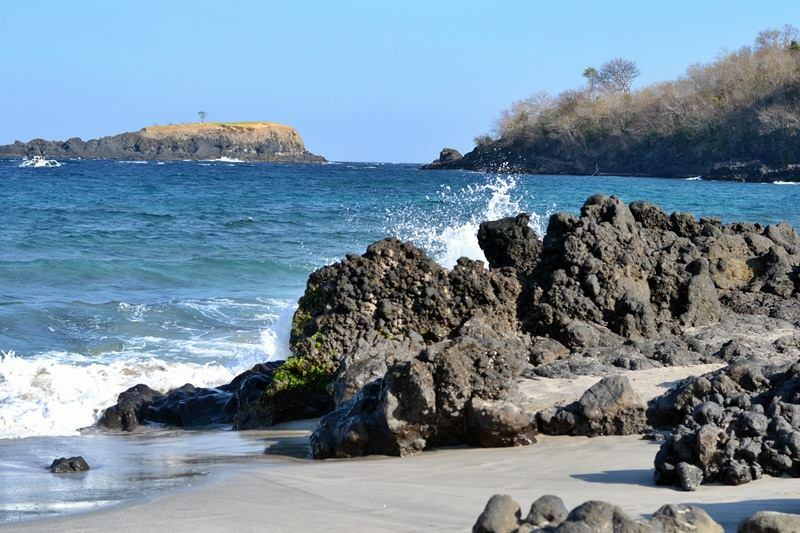 Bali virgin beach or Bali white sand beach location is in Bugbug village , Karangasem regency . To reach this place isn’t so difficult, just keep driving to the east from Candidasa . After passing through hilly area we will see a big sign of the Virgin beach . And than turn left about 700 meters drive through small village road . The car can’t enter to the beach , therefore we need to walk to the beach and leave our car in the parking area . White Sand Beach Bali Hidden paradise is really special beach . Small white shandy beach , calm wave and crystal clear water . In the east the ocean view blocked by cliff and toward south we could see Nusa Penida island and Candidasa in the west . It’s still virgin area for now , still less crowd and wish gonna be like this always . We need some place which is away from tourism crowd . The area are well maintain by local villager . There are few small restaurants by the beach and provide sun chair for rent . It’s cost approximately 30 .000 to rent per day . 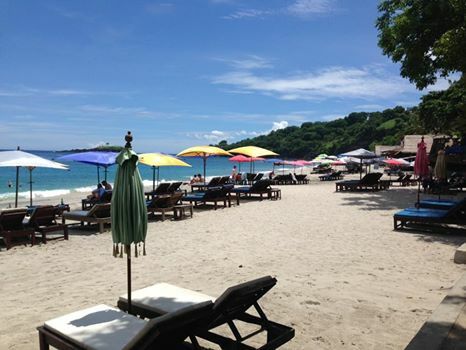 Bali Virgin White Sand Beach could be an additional place to complete your day . It will cost you only 10.000 per person to enter to the beach .